Coming back from two injuries in the middle of the same season is a feat that few players can claim. 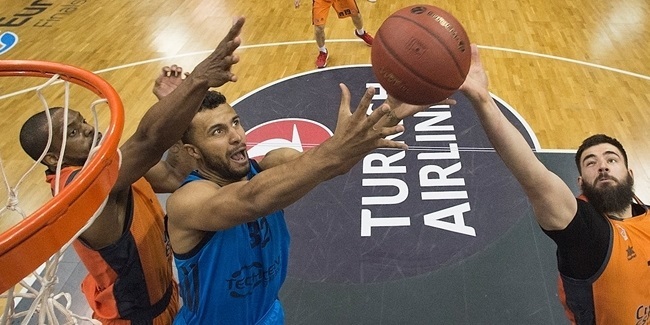 Not only did Peyton Siva come back, but he was instrumental in leading ALBA Berlin to the 7DAYS EuroCup Semifinals for just the second time in club history, and in so doing earned Euroleague Basketball's nod as the MVP of the quarterfinals. Siva missed four regular season games and the entire Top 16 with rib and knee injuries, respectively, but that did not stop him from dominating ALBA's dramatic 2-1 series victory over 2017 EuroCup champion Unicaja Malaga. ALBA made history by becoming the first EuroCup team ever to win a best-of-three series after losing Game 1 on its home floor, and Siva had a lot to say about that. He led all players in quarterfinals with 8.0 assists per game, and finished among the top six in both average performance index rating (17.0) and points (13.3). 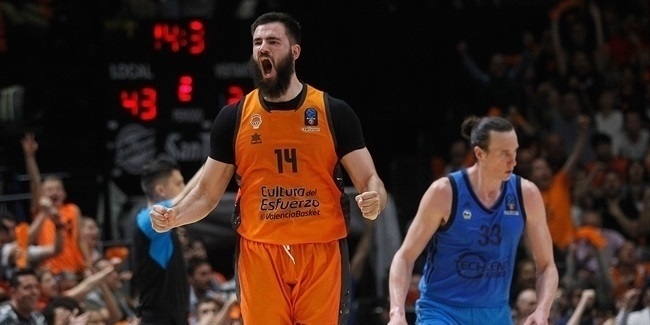 Those numbers coupled with his skills in leading ALBA's Game 3 comeback to take the series were plenty of reason to name him MVP of the 7DAYS EuroCup Quarterfinals. Siva had 14 points and 7 assists in ALBA's 90-91 loss in the series opener, a series opener that was nonetheless played on the club's second court due to a scheduling conflict with its primary arena. With his team needing a road win to keep the series -- and its EuroCup hopes -- alive, Siva posted 11 points, 7 assists and 6 rebounds in less than 22 minutes of ALBA's resounding 81-101 Game 2 victory in Malaga. Then, in another do-or-die situation, Siva responded with 15 points and 10 assists as ALBA rallied from 13 points behind with 12 minutes left and 8 behind with 7 minutes left to win Game 3 by 79-75 . He not only led ALBA to victory, but his PIR 16 was the highest among players on winning teams, earning him the Game 3 MVP honor, as well. Due to his injuries, the 28-year-old point guard has appeared in just nine of 19 possible games this EuroCup season, which prevents Siva from qualifying for the season leader rankings. Nonetheless, his 9.1 assists per game is the best in the competition while his average PIR (17.6) is the fifth highest. Also, only four other players have shot better than his 50% from three-point range (24-of-48), and just 13 players have averaged more than Siva's 14.3 points this season. This is third season with ALBA for Siva, who joined the club in 2016 after two seasons in the NBA Development League and one with Juve Caserta of the Italian League. Siva made his EuroCup debut in that 2016-17 campaign, and through 34 appearances in the competition since, he is averaging 12.3 points on 44.2% three-point shooting to go with 6.5 assists per game, the second-highest average in competition history. Siva's career average PIR of 15.2 is the sixth best during the three-year span since he made his debut. The next challenge for Siva and ALBA is the best-of-three semifinals against MoraBanc Andorra, starting on Tuesday, March 19 in the German capital.